Minimum quantity for "Black Short Sleeves T-Shirts - 12 pk" is 1. 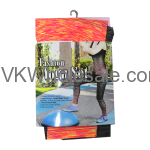 Minimum quantity for "Black Short Sleeves T-Shirts 2X & UP - 12 pk (Individual Wrap)" is 1. Minimum quantity for "Fashion Yoga Pants and Tank Top" is 1. Minimum quantity for "T-Shirts Mix Combo Pallet 36 CS, $ 29.11 / Dozen Delivered, Total 216 Dozens" is 216. Minimum quantity for "V Neck Black Short Sleeves T-Shirts 2X & Up - 12 PK" is 1. Minimum quantity for "V Neck Black Short Sleeves T-Shirts S-XL - 12 PK" is 1. 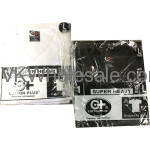 Minimum quantity for "V Neck White Short Sleeves T-Shirts 2X & Up - 12 PK" is 1. 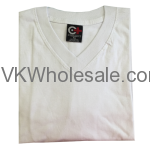 Minimum quantity for "V Neck White Short Sleeves T-Shirts S-XL - 12 PK" is 1. Minimum quantity for "White Short Sleeves T-Shirts (2X-6X) 12 PK" is 1. 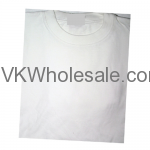 Minimum quantity for "White Short Sleeves T-Shirts - 12 pk" is 1.